"O Tardo": one of the legends which inhabits the minds of people from rural areas of Northern Iberia since the dawn of society. 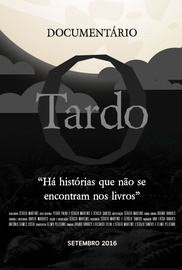 "O Tardo" is mythological figure that inhabits the minds of older generations in Portugal, Galicia and Asturias. However, you'd be surprised to find that the names is almost the only common trace that the legend has when you move from one place to the other. In some places you find that the Tardo is something like a Werewolf, only it transforms into more domesticated animals. In other places is just the soul of a small child who died and wanders around with no malicious intent. In this documentary we aim to show this multiple angles of the same legend while understanding the differences and their social context. Also we get to immortalize these tales that are getting lost in time as younger generations fail to get the message from the older ones. With this bundle you will get the two documentaries that Sérgio Martins, the director, has available on ReelHouse.